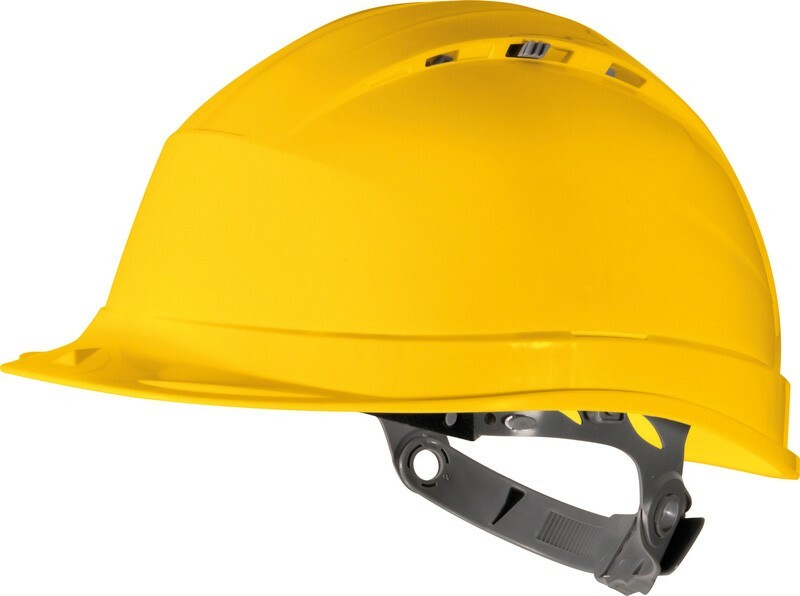 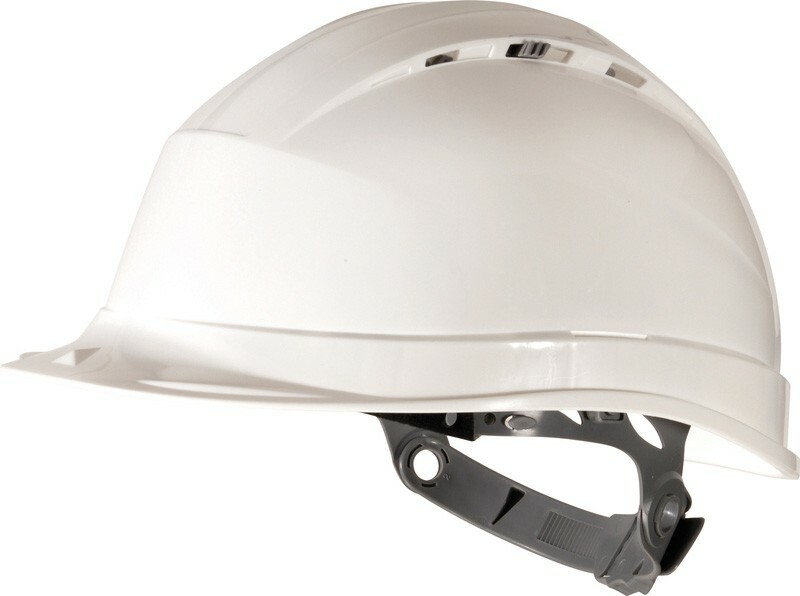 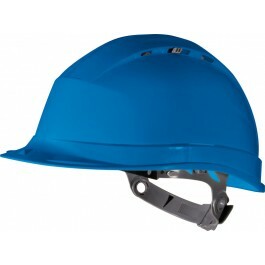 Delta Plus Quartz I Safety Helmets are manufactured from ventilated UV-resistant, high density polypropylene (PP). 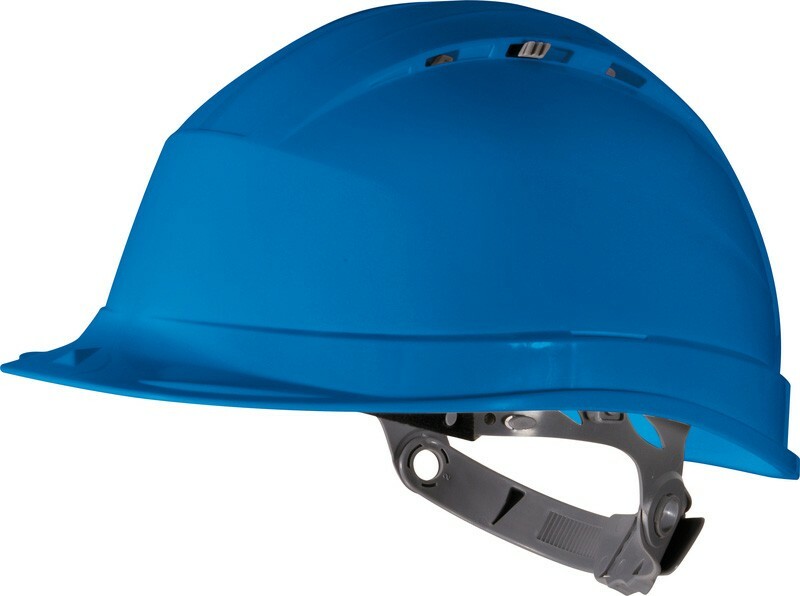 The helmets feature a polyethylene harness that has 8 fixing points, foam sweat band and manual adjustment to fit head sizes from 53 - 63cm in size. 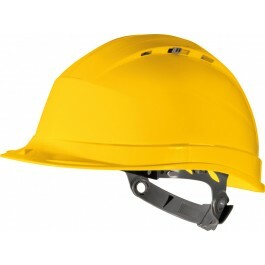 The head band can also be adjusted to fit two possible positions, either top or low, for a better, more comfortable fit.